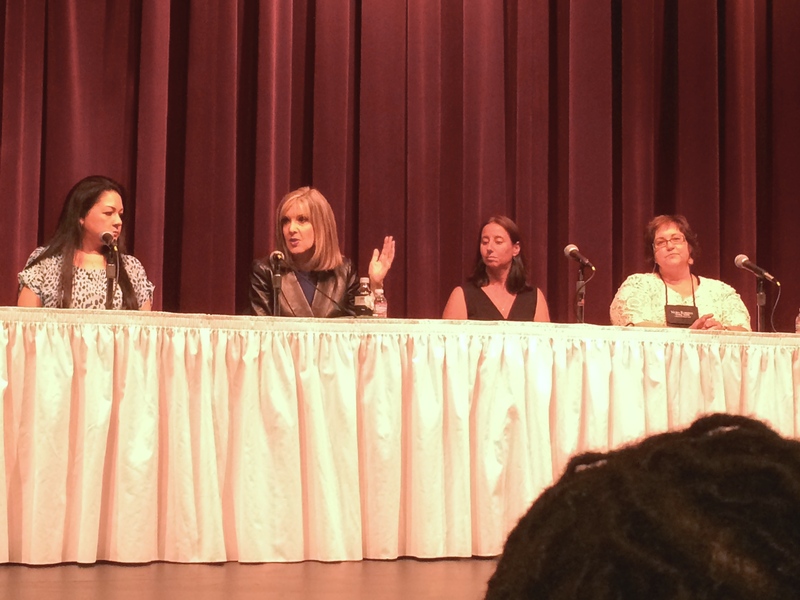 A few weeks ago, I was able to attend the Nora Roberts Writing Institute held at Hagerstown Community College in Hagerstown, Maryland, a fabulous annual event that brings together over a hundred writers for a weekend of excellent classes (and good food) in the beautiful setting of Western Maryland. Such a small setting allows participants to really spend time and ask questions of the published authors who run the sessions and give the keynote speeches. With keynote addresses from romance author Sylvia Day and thriller doyenne Hank Phillippi Ryan (both of whom blew me away with their professional insight and generous attitude toward would be authors), the sessions and casual conversations made me think a great deal about how I can model myself after these successful writers, getting the point of producing consistent, excellent works that bring pleasure and entertainment to others. 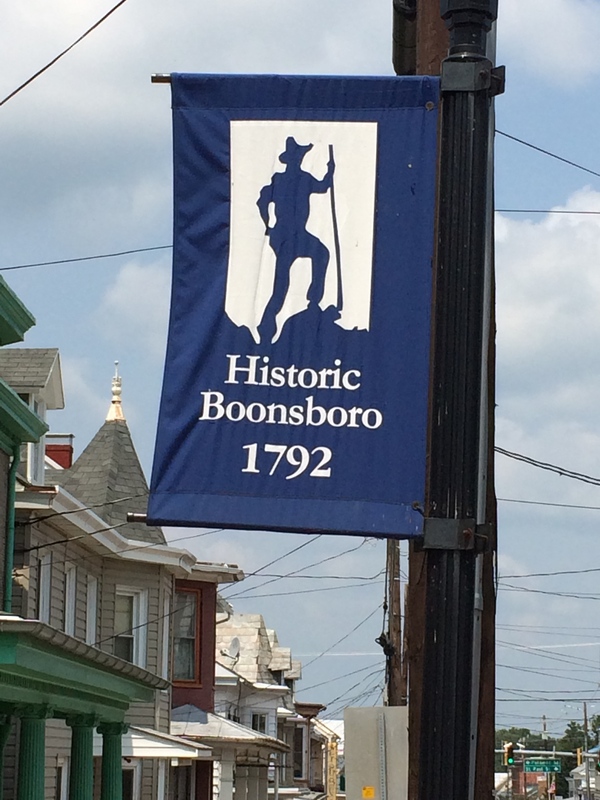 Historic Boonesboro is filled with friendly residents and cute as a button. That lofty personal idea aside, I adored Western Maryland which is close enough to Baltimore and DC to have numerous amenities but enough in the country that it is a bucolic wonderland bursting with history. 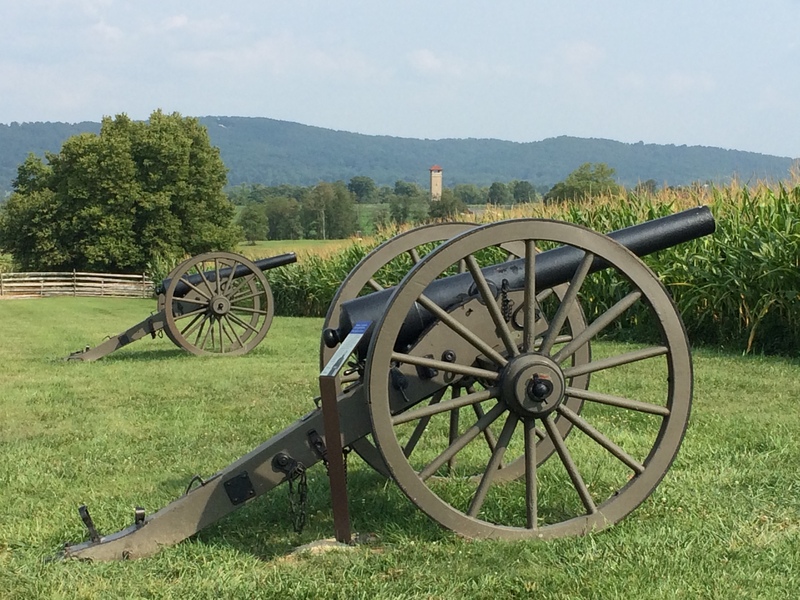 One such destination is the small town of Boonsboro, Maryland, a stone’s throw from Sharpsburg, where the famous Civil War battle of Antietam took place. While my husband and I were eager to fulfill our passion for history at the National Park that commemorates the battle, I convinced him that our first destination was going to be the town of Boonesboro that has benefited from its most famous resident, author Nora Roberts. One of the benefits of Nora Roberts owning a bookstore? Awesome author signing parties! Most of her fans are aware that Roberts loves her home with a passion. With some of the renovation pain and details immortalized in her Inn Boonsboro trilogy, Roberts actually bought a late 18th century building in the center of town and restored it into the Inn Boonsboro where you can stay in rooms named after some of Roberts’ famous characters (the Roarke room is supposedly one of the favorites, naturally!). The Inn is located almost directly across from her bookstore, Turn the Page, which not only has a terrific collection of popular fiction, but showcases local authors while having an entire room dedicated to Nora Roberts’ books! Jewelry that ties into her characters and titles is also sold as is some truly awesome NR swag (which I bought for my wonderful, cat-sitting mother and for myself). The flyer for the upcoming booksigning looked amazing, and the residents of Maryland are fortunate as they have an abundance of romance authors in their midst and the thriving Maryland Chapter of the Romance Writers of America. Lucky you, Marylanders!! The corn was about as high as it was during the actual battle, allowing us to realize the terrain was similar to what the actual Union and Confederate soldiers would have experienced, i.e. zero visibility for most of the battle. After having a phenomenal lunch at Dan’s Taproom and Restaurant (directly across from the Inn and catty-corner to the bookstore), we trekked over to the National Park dedicated to the Battle of Antietam, and I realized that the people of Maryland live with the heavy weight of the Civil War right in their midst. The National Park is nothing short of amazing – an information center with knowledgeable staff and excellent materials sits in the middle of the 65+ acre site linked by a series of roads and markers. While walkers and hikers will love exploring the side trails and some of the views, the park is made infinitely accessible via car with a self-guided tour (we bought the audio CD and book that talks you through some of the major sites) that for us lasted for a few hours (and we felt we gave it short shrift). I will definitely go back to this area again, hopefully with my mother who would be the person truly capable of appreciating the Inn Boonsboro. Not only was I able to get a wonderful experience from the Writing Institute but the countryside itself (both with and without Nora Roberts) fed my creative self with its incredible history and rolling views. 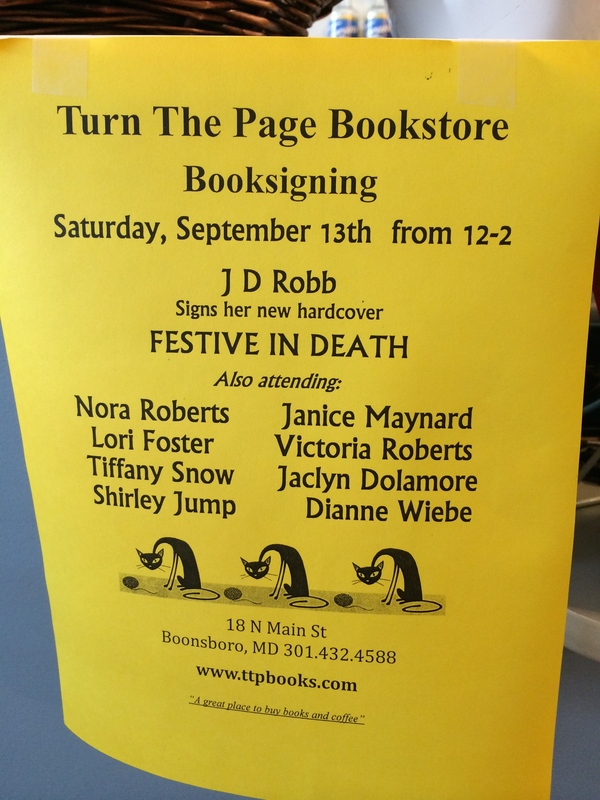 Consider a trip to Western Maryland and the mecca of romance readers, Boonsboro! I’ll try and have a few posts dedicated to some of the sessions and content of the conference since I think both readers and writers will get a lot out of many of the larger issues and trends discussed, but for now, I heartily recommend the Nora Roberts Writing Institute to aspiring authors and the area of Western Maryland to romance readers.